Click here to download the 'For Kim' EP press release. Tracy Brathwaite's phenomenal debut For Kim EP drops onto Honeycomb Music, just in time for the holidays! 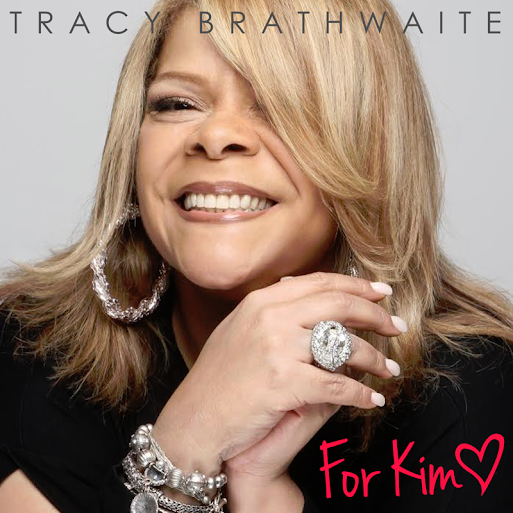 Dedicated to Kim, Tracy's sister, who connected Tracy and label head Josh Milan, this EP is filled with beautiful songs about love, life and laughter. Josh notes that "Tracy has a vocal styling that is her own. Blues, Gospel, Rock and R&B all in one. It's this type of singer/songwriter that, in my opinion, the industry needs." The For Kim EP also includes remixes from DJ/producers Ian Friday, Jihad Muhammad and Carlos Mena! In celebration of her EP release, Honeycomb has also issued the 12" vinyl of Tracy's smash single, "Smile." "Smile" has been championed by hugely talented producers and DJs including Joe Claussell, Grammy award winner Louie Vega (Roots NYC, WBLS Radio New York,) Danny Krivit and many notable others. Visit honeycombmusicstore.com for details. I thank my heavenly father first and foremost, Love and thanks to all my angels, my loved ones and all those who love what I do. Deep love and appreciation to Adam Cruz, Louie Vega and my ride or die Vivian Scott Chew. Josh Milan, I am so grateful for you, thank you for sharing your talent with me. Lyrics written by Allen Cato and Meshell Ndegeocello. Vocals performed and arranged by Tracy Brathwaite. Published by Alvie's House (BMI) and Revolutionary Jazz Giant (BMI). Written by Tracy Brathwaite and Josh Milan. Libation remixes produced by Ian Friday. Published by Tracy Brathwaite (ASCAP) and Josh Milan Songs (BMI). Bang The Drum Remixes produced by Jihad Muhammad. Keys by Vincent Jeffries. Male vocal by Carlos Mena. All other instruments and arrangement by Carlos Mena. Recorded and mixed at CASAMENA Studios, Brooklyn NY. All instruments, production and arrangement by Carlos Mena. Dedicated to Joe’s Butchery in Alex, SA for making me Smile.